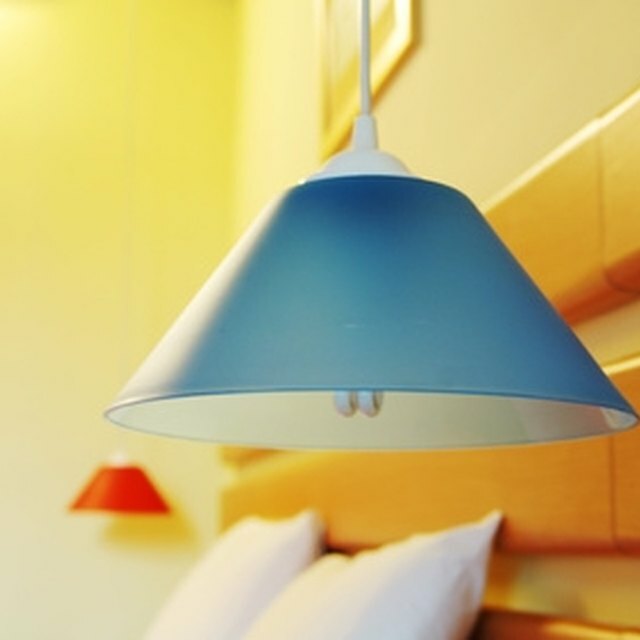 Low-voltage lighting has become increasingly popular in homes, hotels, restaurants and retail stores. A typical low-voltage system reduces your 120-volt residential electricity to 12 or 24 volts. This is accomplished with the help of an electronic or magnetic transformer installed before the lighting system. Low-voltage systems can be installed in your regular electrical boxes. With a little knowledge of home electrical work and some common tools, you can install a low-voltage system in an afternoon. Installing indoor low-voltage lights will decrease your energy costs. Shut off the power to the lighting fixture at the main breaker. Confirm it is off with a voltage detector or by simply trying to operate the light. Remove the old light from its socket and remove the twist-on wire connectors securing the electrical conductors to the fixture. Attach the black wire to the positive connection on the transformer from your low-voltage kit with a twist-on wire connector. A twist-on wire connector works by twisting the two wires together, then threading the connector on top until it's tight. Attach the white wire to the neutral connection on the transformer and the bare or green wire to the transformer's ground. Mount the transformer in the ceiling cavity. Transformers can generate a lot of heat, so avoid burying it in insulation. Attach the positive wire from the transformer to the low-voltage light's positive wire and the neutral wire to the the light's neutral with twist-on wire connectors. Push the wires up into the socket and fasten the light fixture to the electrical box with the two screws provided. These will thread through the light and into the box on either side. Refer to the manufacture's directions for specific details on your low-voltage lights.